State Department spokesman says US "fully supports" Israel’s right to defend itself against Iran's actions in the region. The US “fully supports” Israel’s right to self-defense against Iran’s actions in the region, the State Department said on Friday. 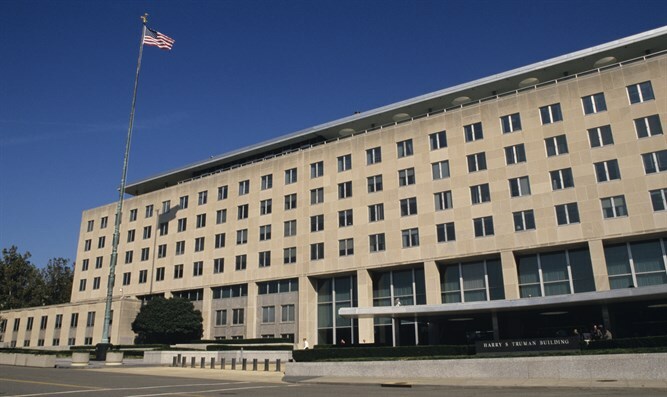 “The United States fully supports Israel’s right to defend itself against Iranian regional actions that endanger Israeli national security and the safety of the Israeli people,” said Deputy State Department spokesman Robert Palladino in a statement. “Iranian support of and supply to terrorist groups in Syria and across the region that have the clear intent and capability to strike Israel are unacceptable. The United States fully supports Israel's right to defend itself against the Iranian regime’s aggressive adventurism, and we will continue to ensure that Israel has the military capacity to do so decisively,” he added. The statement follows President Donald Trump's surprise decision to withdraw all US forces from Syria, where Iran has been providing support to President Bashar Al-Assad. It also follows this week’s air strike in Syria in which a series of Iranian targets were hit. While the IDF has not commented on the air strike, an unnamed Israeli security official confirmed to The Associated Press on Wednesday night that Israel was behind it. The official told AP the air strike hit Iranian storage and logistic targets being used to transfer weapons to the Hezbollah terrorist organization. The official also said Israel also took out a Syrian anti-aircraft battery near Damascus that fired at the Israeli warplanes. Trump was asked by reporters this week how the withdrawal from Syria would affect Israel and replied that "we give Israel $4.5 billion" security every year, and so "Israel will be very good" even after the US withdrawal from Syria.